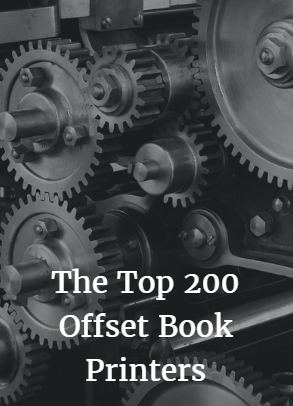 A list of the top 200 short-run and long-run offset printers who specialize in printing books. 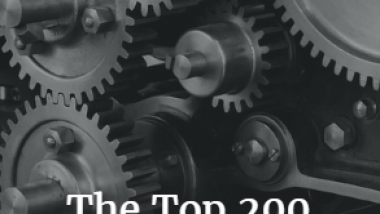 For a list of the top 200 book printers by where they are located (U.S. by state as well as other countries), see: https://bookmarketingbestsellers.com/the-top-250-book-printers-by-location. If you know of other book printers who should be added to this list, please email John Kremer at johnkremer@bookmarket.com. You can also email me if you would like to advertise on this page. A listing of a book printer here does not imply an endorsement. Always be sure to check their references before sending them any money. Oddi Printing Corporation, Charles B. Gershwin, 118 Heacock Lane, Wyncote PA 19095; 215-885-5210; Fax: 215-885-6364. Email: chuck@oddi.com. Web: http://www.oddi.com. Their printing plant is in Reykjavik, Iceland. Prints high quality books, magazines, posters, etc. for an international clientele. Offset Paperback Manufacturers, PO Box N, 101 Memorial Highway, Dallas PA 18612; 570-675-5261; Fax: 570-674-9407. Nancy Lavan, Vice President, Commercial Services, 10 Passan Drive, Laflin PA 18702; 570-602-1316; Fax: 570-602-8813. Email: nancy.lavan@opm.com. Web: http://www.bvg-opm-books.com. A division of Bertelsman, this company specializes in softcover books, both trade and mass market. Also digital printing of 20 copies or more at reasonable prices. On the Mark, Mark Vierra, 75-5660 Kopiko Street #C7-105, Kailua-Kona HI 96740; 831-252-7700; 888-556-7989, ext. 201. Email: mark@onthemark.net. Web: http://www.onthemark.net. Printing plant: Shanghai, China. Prints books in China for US publishers: children’s books, cookbooks, art books, etc. Oregon Lithoprint, 1315 NE Miller Street, McMinnville OR 97128; 503-472-5115; 800-472-1198; Fax: 503-434-1462. Email: sales@oregonlitho.com. Web: http://www.oregonlitho.com. 20% of their business is in printing books and directories. Also prints tabloids, broadsheets, and digests. Orient Color Art Printers, ChandraMouli Vidyasaghar, Director, 414 MundagaNadar Street, P O Box 46, Sivakasi, Tamilnadu, India 626123; 91-4562-225626. Email : mouli@theorient.in. Web: http://www.theorientunicornn.com. Prints four-color books, diaries, calendars, and playing cards. Overseas Printing Corporation, Hal Belmont, President, 99 The Embarcadero, San Francisco CA 94105; 415-835-9999; Fax: 415-835-9899. Email: hal@overseasprinting.com or info@overseasprinting.com. Web: http://www.overseasprinting.com. Offers printing in Hong Kong, China, Korea, and Italy. Also calendars, note cards, postcards, and diaries. Pacom / Sung In, Pacifica Communications, Cecil Caronna, 2133 Titan Street, Harvey LA 70058; 504-362-3656; Fax: 504-263-5740. Email: cecilebcaronna@gopacifica.com. Web: http://en.gopacom.com. Printing plant in South Korea. Prints books, magazines, catalogs, calendars, and more. E. O. Painter Printing Company, P. O. Box 877, 4900 US 17 North, DeLeon Springs FL 32130; 386-985-4877; 877-985-BOOK. Email: books@eopainterprinting.com. Web: http://www.eopainterprinting.com. Specializes in books and catalogs. Motto: Printers of fine books for over a century. Palace Press International, 3160 Kerner Boulevard #108, San Rafael CA 94901; 415-526-1370; 800-809-3792. Plant: 10th Floor, Block A, B, C & D, Wah Ha Factory Building, 8 Shipyard Lane, Quarry Bay, Hong Kong; 852-2357-9019; Fax: 852-2561-3616. Email: info@palacepress.com. Web: http://www.palacepress.com. Specialty: color printing via Hong Kong. Paper Chase Printing, 7176 W Sunset Boulevard, Los Angeles CA 90046; 323-874-2300. Email: info@paperchase.net. Web: http://www.paperchase.net. Book printer. User comment: They make great books. Papercon, Eric Pesengco, 29 Oliveros Drive, Quezon City, Manila, Philippines; 63-9175293188; Fax: 632-3628025. Web: http://www.papercon.com. Printer of 4-color coffeetable books, catalogs, magazines, posters, labels, and more. Patterson Printing, 1550 Territorial Road, Benton Harbor MI 49022; 269-925-2177; 800-848-8826; Fax: 269-925-6057. Email: sales@patterson-printing.com. Web: http://www.pattersonprinting.com. Founded in 1956. Web and sheetfed, complete bindery, fast quotes and turnaround, electronic prepress, and fulfillment. Pease Bindery, 111 Oakcreek Drive, Lincoln NE 68528; 402-476-1303; Fax: 402-476-3978. Email: info@peasebindery.com. Web: http://www.peasebindery.com. Book binders. Also loose leaf products. Pemcor, Inc., William McGrorty, Sales Manager, 2100 State Road, Lancaster PA 17601; 717-898-1555; 800-735-1555; Fax: 717-898-3191. Email: wmcgrorty@comcast.net. Web: http://www.pemcor.com. Heatset web and sheetfed for book production. Also full service bindery and mailing service. CTP prep department. Pinnacle Press, 2662 Metro Boulevard, Saint Louis MO 63043; 314-291-2230; Fax: 314-291-8842. Email: tom@pinnaclepress.com. Web: http://www.pinnaclepress.com. Printer and finisher of 4-color dust jackets, paperback covers, and other book components. Planet Ink USA, Van Bagley, 6114 LaSalle #259, Oakland CA 94611; 510-339-6935. Email: van@planetinkusa.com. Web: http://www.planetinkusa.com. Full service color printer with offices in Oakland and Hong Kong. They also use a printing plant in South China that specializes in games and jigsaw puzzles. PRC Book Printing (Pearl River China Book Printing), Jacob Hope, CEO, 400 Lincoln Avenue, 2nd Floor, Hatboro PA 19040; 888-659-8320; Fax: 215-659-2204. Email: info@prcbookprinting.com. Web: http://www.pearlriverchinaprinting.com. U.S.-based representatives with overseas printing partners. Our diverse binding capabilities range from the basic adhesive-bound books to deluxe leather bound editions providing a finishing touch to the manufacturing process. Offering great 4-color printing with superior print quality for hardcover, softcover, saddlestitch, Wire-O, and coil-bound books. Also flash cards and much more. Quantities starting around 500 with higher quantities for a better price! The Print Connection, Troy Kinney, 8006 E Arapahoe Road #120, Centennial CO 80112; 303-779-1420. Web: http://www.printconnectiondenver.com. Digital and offset book printing. Also flyers, brochures, manuals, posters, banners, business cards, door hangers, pocket folders, and more. Also graphic design and book binding. The Print Guild, Dan Brady, Managing Director, 12 Norham Road, Whitley Bay, NE26 2SB, United Kingdom; 44-191-603-1910. Email: hello@theprintguild.co.uk. Web: http://theprintguild.co.uk. Specializes in medium to long-run book printing with fast turnarounds, digital and litho offset, softcover and hardcover, mono or full color, wide range of bindings (PUR, perfect bound, smyth sewn). Additional services such as copyediting and design provided are by their sister company, UK Book Publishing at http://ukbookpublishing.com. Print Place, 1130 Ave H East, Arlington TX 76011; 817-701-3555; 877-405-3949; Fax: 817-701-3700. Web: http://www.printplace.com. Specializes in booklet printing in quantities from 250 to 2.5 million copies. Both sheetfed and heatset web. Print Printers, Ash Bansal, Director, 9369 Wilcrest Drive, Houston TX 77099; 202-470-0880. India production address: 8 Sagar Apartments, 6 Tilak Marg, New Delhi, India 110 001; 91-11-2378-2003; Fax: 91-11-2378-2763. Email: connect@printprinters.com or ash@printprinters.com. Web: http://www.printprinters.com. They print books, catalogs, Bibles, booklets, brochures, flyers, postcards, greeting cards, calendars, packaging, boxes, etc. Also DVD and CD replication. Bindings: case, wire-o, spiral, perfectbound, PUR. Other services: scanning, image setting, proofing, die cutting, foiling, embossing, etc. 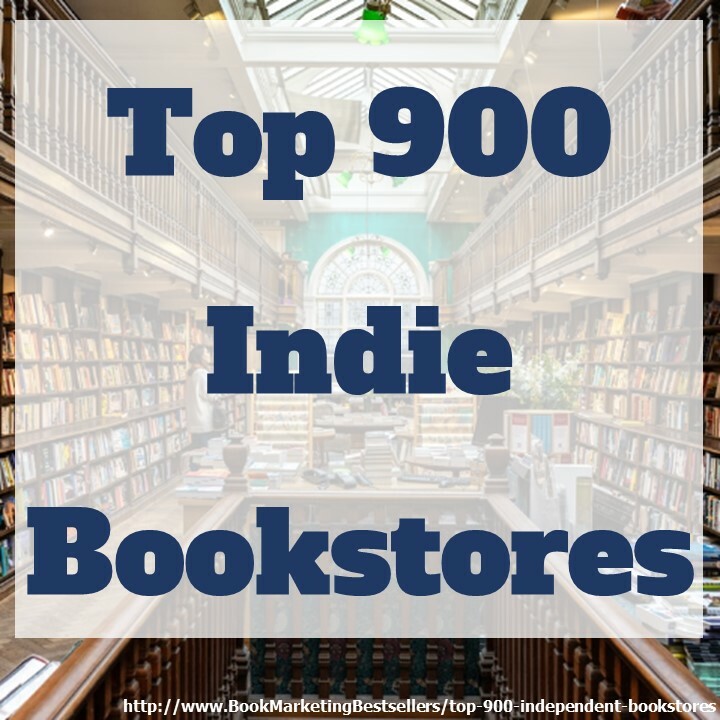 80% of their business is books; 95% of their customers are from the US. Printed in China Online, RM 505, Building 12, XinTianDi, 689, North shiji Avenue, Ningbo 315040 China; 86-574-2788-9688; Fax: 86-574-2788-9677. Email: sales@printedinchinaonline.com. Web: http://www.printedinchinaonline.com. Prints books, catalogs, booklets, brochures, flyers, posters, and more. PrintMedia Books, 12082 Western Avenue, Garden Grove CA 92841; 714-903-2500; Fax: 714-903-2503. Email: books@printmediabooks.com. Web: http://www.printmediabooks.com. Book printers. Publishers’ Graphics, Kathleen Marada, 140 Della Court, Carol Stream IL 60188; 630-221-1850; 888-404-3769; Fax: 630-221-1870. Email: sales@pubgraphics.com. Web: http://www.pubgraphics.com. Founded in 1996. Short-run black & white printing in quantities from 1 to 2,000. Case-bound, perfect-bound, or mechanical bindings. They also print digital color in-house. Pulp, Janice Pearson, 1706 W State Street, Bristol TN 37620; 423-652-6115. Email: janice@getpulp.com. Web: http://www.getpulp.com. Offset and digital printing of catalogs, magazines, and books. Quad/Graphics, N63 W23075 State Highway 74, Sussex WI 53089-2827; 414-566-6000; 888-782-3226. Email: qgraphics@qg.com. Web: http://www.qg.com. Headquarters for QuadGraphics, with eight plants printing catalogs, magazines, directories, and books. V V Rajan Group of Companies, No.4, Ramakrishnapuram, Villiivakkam, Chennai 49 India; 44-26186888; Fax: 44-26182610; Mobile: 9444015054. Email: jk@apollotimes.com. Web: http://www.vvrajan.com. A full-fledged printing and binding company in India. Regal Printing, Maurice Kwan, Owner, Hong Kong; 852-255-22202; Fax: 852-255-20700. Email: maurice@regalprinting.com.hk. Web: http://www.regalprinting.com.hk. Good prices offered on full-color children’s books. Reindl Bindery Co., Dale Reindl, President, 111 E Reindl Way, Glendale WI 53212; 414-906-1111; 800-878-1121; Fax: 414-906-1110. Email: info@reindlbindery.com. Web: http://www.reindlbindery.com. A full-service trade bindery. Repro India Limited, Rajnish Shirsat, VP, India; 919-833-066128; UK: 44-7769-868324. Web: http://www.reproindialtd.com. Book printer serving the U.S., U.K., Middle East, Africa, Australia, and Belgium. Ridderprint bv, Robert Kanters, Pottenbakkerstr. 15-17, 2984 AX Ridderkerk, The Netherlands; 0180-463-962; Fax: 0180-415-471. Email: r.kanters@ridderprint.nl. Web: http://www.print-a-book.co.uk. Digital and offset printing of books. Offers special prices for UK publishers because of the exchange rate. The Right Printer, Don Sqhipps, 4325 Murray Avenue, Haltom City TX 76117; 817-788-5900; 877-431-5900; Fax: 817-788-8573. Email: dshipps@therightprinter.com or sales@therightprinter.com. Web: http://www.therightprinter.com. A full-service commercial printer specializing in printing directories, catalogs, and soft cover books. The John Roberts Co., 9687 E River Road, Minneapolis MN 55433; 763-755-5500; 800-551-1534; Fax: 763-755-0394. Web: http://www.johnroberts.com. Prints some books and booklets, but only in 25,000 on up quantities. Specializes in printing catalogs, brochures, annual reports, calendars, newsletters, magazines, high-end direct mail, packaging, and more. Rose Printing, Charles Rosenberg, President, 2503 Jackson Bluff Road, Tallahassee FL 32304; 850-576-4151; 800-227-3725; Fax: 850-576-4153. Email: charlesr@roseprinting.com or roseprt@roseprinting.com. Web: http://www.roseprinting.com. Prints short-run books, catalogs, and booklets. Offers RepKover lay-flat binding. Can do books of all sizes, with a specialty in mini-books. RPI Printing, Bud Moran, Regional Sales Manager, 135 Waldron Road, Fall River MA 02720; 508-730-2220; Cell: 401-288-7730; Fax: 508-730-1052. Email: bud@rpiprinting.com. Web: http://www.rpiprinting.com. Specialties: Brochures, books, catalogs, newsletters, annual reports, pamphlets, sales sheets, postcards, brochures, presentation folders, sign graphics, and more. They also offer typesetting, layout and design, electronic prepress, direct to plate, 1 to 6-color printing, sheetfed printing, complete bindery, direct mail capabilities, warehousing, and fulfillment. St. Joseph Printing, Mark R. Patenaude, Vice-President of Sales and Marketing, 50 Macintosh Boulevard, Concord, Ontario L4K 4P3 Canada; 905-660-3111, ext. 696; 800-475-7746; Book Fax: 905-660-9737; Fax: 905-660-6820. Email: mpatenaude@stjoseph.com. Web: http://www.stjoseph.com. Large format heat-set Web and sheet-fed offset printing, photography, design, and mailing distribution of catalogs, magazines, retail flyers and other materials. Saddle-stitch and perfect binding. Select Print, Laurent Couche, 38 Soi Sai Nam Phung, Sukhumvit Soi 20, 10110 Bangkok, Thailand; 66-2-637-4770; Fax: 66-2-637-4771. Email: laurent@select-print.org. Web: http://www.select-print.org. Printing of catalogs, brochures, books, packaging, folders, flyers, and more. Also large format digital and offset printing. Self Publish Australia, Jason Swiney, Perth, Australia; 61-8-9467-4143. Web: http://www.selfpublish.com.au. Provides printing for self-publishers (1 to a million books) via digital and offset printing. Sentinel Printing Company, Doug Walter, Sales Manager, 250 N Highway 10, Saint Cloud MN 56304; 320-251-6434; 800-450-6434; Fax: 320-251-6273. Email: dwalter@sentinelprinting.com. Web: http://www.sentinelprinting.com. Printing books, catalogs, directories, and manuals since 1854. Print runs from 500 to millions. Bindings: saddle-stitch, perfect, and plastic-coil. Shanghai Chenxi Printing, Allan Meng, Foreign Trade Manager, 3F, No. 20, Chenjiazhai Road, 200070, Shanghai, P.R. China; 86-21-6605-0191 or 86-21-5109-5722, ext. 337; Cell: 86-132-4807-6403; Fax: 86-21-6605-0192. Email: allan-meng@hotmail.com. Web: http://www.chenxish.com. Prints books, bibles, magazines, journals, booklets, brochures, catalogs, manuals, calendars, greeting cards, etc. Shenzchen Jinhao Color Printing, Block B, Jinchangda Technology Park, Shangwei Village, Zhangkengjing, Guanlan Town, Shenzhen, China 418110; 86-13682670648; Cell: 86-13622396459. Email: jh-print@lzhjy.com. Web: http://www.lzjhy.com. They print full-color books, catalogs, magazines, brochures, folders, flyers, and more. Sheridan Books, Laura Baker, Marketing Manager, 613 E Industrial Drive, Chelsea MI 48118; 734-475-9145; Fax: 734-475-7337. Email: laura.baker@sheridan.com. Web: http://www.sheridan.com. The Sheridan Group also owns United Litho and the Sheridan Press. Offset and digital printing from 1 to 50,000 copies. Also ebook conversions and ecommerce solutions. The Sheridan Press, Mike Klauer, VP of Sales, 450 Fame Avenue, Hanover PA 17331; 717-632-3535; Fax: 717-633-8900. Email: mike.klauer@sheridan.com. Web: http://www.sheridan.com. Offset and digital printing of journals and books for associations, university presses, societies, and commercial publishers. Sheridan Printing Company, Bob Coyle, 1425 Third Avenue, Alpha NJ 08865-4695; 908-454-0700; Fax: 908-454-2554; Cell: 908-507-2670. Email: bobcoyle@sheridanprinting.com. Web: http://www.sheridanprinting.com. This sheet-fed printer focuses on publication printing including short-run books. ShortRunBooks.com, Kevin Flagg, 215 East 3rd Street, Des Moines IA 50309; 515-288-7289; 800-247-5087; Fax: 515-288-4210. Email: Shortrunbooks@dilleymfg.com. Web: http://www.shortrunbooks.com. A division of Dilley Manufacturing, this company can print and bind short runs. Specialty: Binder-based books and reports. Signature Book Printing, Phil Nanzetta, 8041 Cessna Avenue #132, Gaithersburg MD 20879; 301-258-8353; Fax: 301-670-4147. Email: book@sbpbooks.com. Web: http://www.signature-book.com. SJHS Printing, J H Jung, Paju Book City, 520-3 Munbal-ri Gyoha-eup, Paju-si Gyeonggi-do, Korea; 82-31-955-8834. Email: jhjung@hotmail.com. Web: http://www.printsj.co.kr. Prints calendars, books, brochures, catalogs, and more since 1993. 2 web presses, 6 sheetfed presses. Smith Printing Company, Becky Smith, 17343 Wolverine Street NW, Ramsey MN 55303; 763-241-9613; 800-416-9099. Email: becky@smithprinting.net. Web: http://www.smithprinting.net. Yearbook and family history printer since 1998. Southwest Offset Printing, 13650 Gramercy Place, Gardena CA 90249-2465; 310-323-0112; Fax: 310-323-6927. Web: http://www.southwestoffset.com. SF office: 3508 Haven Avenue, Redwood City CA 94063; 650-363-0899; Fax: 650-298-8828. They deal in publication printing: weeklies, monthlies, quarterly publications. Heatset and cold web printing. From newsprint, book stock to gloss book. Saddle-stitching or perfect binding and labeling, mailing or direct drop shipping. Spauda Printing House, Andrius Jonaitis, Sales Manager, Laisves pr. 60, Vilnius, Lithuania; 8-5-266-1308; Fax: 8-5-266-1178. Email: a.jonaitis@spauda.com. Web: http://www.spauda.com. Lithuania’s oldest printing company (since 1574). Produces books, magazines, advertising material, etc. with binding, guilding, varnishing, laminating, punching, etc. Stewart Publishing & Printing, Robert Stewart, 17 Sir Constantine Drive, Markham, Ontario L3P 2X3 Canada; 905-294-4389; Fax: 905-294-8718. Email: robert@stewartbooks.com. Web: http://www.stewartbooks.com. 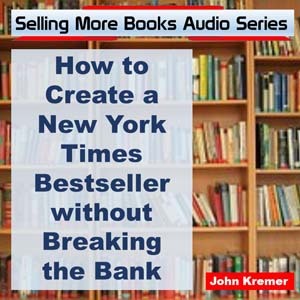 Offers book production services. Star Print Brokers, Nancy Starkman, President, P.O. Box 53592, Bellevue WA 98015; 425-603-1777; Fax: 425-603-0859. Email: info@starprintbrokers.com. Web: http://www.starprintbrokers.com/asia. Printing high-quality, full-color, hardcover coffee-table books in the US and Asia. Sterling Pierce Company, 395 Atlantic Avenue, East Rockaway NY 11518; 516-593-1170; Fax: 516-593-1401. Email: scieslicki@sterlingpierce.com. Web: http://www.sterlingpierce.com. Galley copies a specialty. Sunny-Young Printing, Austin Fan, Taiwan; 886-2-8245-6131; Fax: 886-2-8245-6132. Email: austin@sunny-young.com.tw. Web: http://www.sunny-young.com.tw. Sunray Printing, 25123 22nd Avenue, Saint Cloud MN 56301; 320-253-8808; 888-253-8808; Fax: 320-253-9683. Email: sales@sunrayprinting.com. Web: http://www.sunrayprinting.com. A printer looking to expand its book printing division. Sustainable Print and Mail, Ben Schindler, 5988 Overlake Avenue, San Diego CA 92120; 619-206-3593. Email: ben@sustainableprintandmail.com. Web: http://www.sustainableprintandmail.com. Printing, direct mail, printed paper box projects, and some books. Svet Print d.o.o., Nejc Belušič, Area Sales Manager, Brnčičeva ulica 31, 1231 Ljubljana, Črnuče, Slovenia; 386-1-292-7365; Cell: 386-51-344-943. Email: nejcbelusic@svetprint.eu. Web: http://www.svetprint.eu. Uses state of the art technology for quick order execution. Printing and binding prices are competitive. John S. Swift Co., 999 Commerce Court, Buffalo Grove IL 60089; 847-465-3300; Fax: 847-465-3309. Web: http://www.johnswiftprint.com. Founded in 1912, this commercial printing company has 4 plants in different parts of the country: Buffalo Grove, Illinois; Cincinnati, Ohio; Teterboro, New Jersey; and Monrovia, California). They produce books from 100 to 100,000 copies with page counts from 4 to 1,800. They offer perfect binding, saddle-stitching, GBC and spiral binding. They can do direct to plate. John S. Swift Co., 2524 Spring Grove Avenue, Cincinnati OH 45214; 513-721-4147; Fax: 513-721-6863. John S. Swift Co., 315 W Hillcrest Boulevard, Monrovia CA 91016; 626-357-6301; Fax: 626-357-6301. John S. Swift Co., 375 North Street, Unit N, Teterboro NJ 07608; 201-678-3232; Fax: 201-678-3001. Taylor Specialty Books, Kim Hawley, VP, 1550 W Mockingbird Lane, Dallas TX 75235; Kim: 402-933-5275; 800-331-8163; Fax: 800-203-9778. Email: khawley@taylorpub.com. Web: http://www.taylorspecialtybooks.com. Established in 1947, Taylor prints books, booklets, journals, catalogs, annual reports, yearbooks, and general commercial printing. One to 8-color presses with lots of trim sizes available. Bindings: casebinding, saddlestich, spiral, wire-o, and perfect binding. Think Sacramento, Kory Wilkinson, CEO, 4944 Windplay Drive #335, El Dorado Hills CA 95762; 916-594-0108; 888-224-THIN; Cell: 916-417-7041; Fax: 916-594-0101. Email: kw@wethinkink.com or info@wethinkink.com. Web: http://www.wethinkink.com. Prints books, catalogs, manuals, directories, magazines using sheet-fed and web presses as well as digital. Also ebook creation, promotional products, and more. Thomson Press, Anup Uniyal, Business Development Manager, New York; 718-729-7077; Cell: 646-318-0369; Fax: 718-729-8143. Email: anupuniyal@thomsonpress.com. Web: http://www.thomsonpress.com. Founded in 1967, Thomson is now the largest commercial printer in India, capable of printing and binding bibles, dictionaries, coffee-table books, diaries, calendars, B&W books, and more. Thomson-Shore, 7300 W Joy Road, Dexter MI 48130-9701; 734-426-3939; Fax: 734-426-6216; Fax: 800-706-4545. Email: info@thomsonshore.com. Web: http://www.thomsonshore.com. Founded in 1972. An employee-owned printer of books, from 200 to 20,000 copies. Ask for a copy of their Printer’s Ink newsletter. Tiger Lilly Enterprises, Penny Callmeyer, PO Box 41325, Sacramento CA 95841; 916-692-5054. Email: cpennyc@msn.com. Web: http://www.pennycallmeyer.com. An independent sales rep for: Color House Graphics, Thompson Shore, Hess Printing Solutions, Overseas Printing/Inner Workings, and Bang Printing. Focus on printing and publishing consulting as well as selling printing of books, manuals, catalogs, directories, and coffee-table books. Total Printing Systems, Charlie Tlapa, National Accounts Manager, 201 S Gregory Drive, Newton IL 62448; 618-783-2978; 800-465-5200; Fax: 618-783-8407. Email: charlie@tps1.com. Web: http://www.tps1.com. Short run book and booklet (up to 100,000 copies) printing with perfect, saddle, 3-ring, wire-o, and loose-leaf bindings. Transcontinental Printing Book Group, 1 Place Ville Marie #3315, Montreal, Quebec H3B 3N2 Canada; 514-954-4000; 800-361-3699 (US and Canada; Fax: 514-954-4016. Email: beaudind@transcontinental.ca or info@transcontinental.ca. Web: http://tctranscontinental.com/en/contact/tc-transcontinental-printing. Founded in 1975, Transcontinental consists of a number of printers in Canada (Interglobe Printing, Métropole Litho, Métrolitho, andImprimerie Gagné). 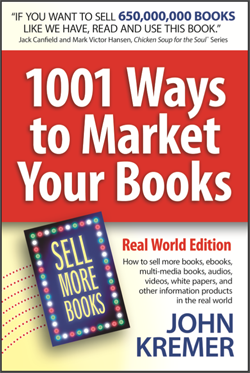 Books contribute about $100 million of their $818 million in annual business. Book Group: 150 181st Street, Beauceville, Quebec G5X 3P3 Canada; 418-774-3367; 800-463-8952; Fax: 418-774-3380. Unimac Graphics, 350 Michele Place, Carlstadt NJ 07072; 201-372-1000; Fax: 201-372-0699. Email: info@unimacgraphics.com. Web: http://www.unimacgraphics.com. 20% of their business is in printing books. United Book Press, 1807 Whitehead Road, Baltimore MD 21207; 410-944-4044; 800-726-0120; Fax: 410-944-4049. Email: Tdilli@unitedbookpress.com. Web: http://www.unitedbookpress.com. Two week delivery on paperbound books, 4 weeks for case-bound. Since 1989. United Graphics Inc., Amanda Followell, Customer Service, 2916 Marshall Avenue, Mattoon IL 61938; 217-235-7161; Fax: 217-234-6274. Email: a.followell@ugllc.net. Web: http://www.ugllc.net. An employee-owned printer of books, catalogs, journals, and directories. Van Volumes, Dan Allie, 50 Industrial Drive, East Longmeadow MA 01028-0215; 413-224-2100, ext. 131; 866-321-7518; Fax: 413-224-2150. Email: dan@tigerpress.com. Web: http://www.vanvolumes.com. Now owned by TigerPress, a commercial printer. Specializing in short-run digital book printing as well as printing magazines, catalogs, and brochures. Vaughan Printing, Howard Smith, 928 6th Avenue S, Nashville TN 37203; Howard: 615-255-0526; 615-256-2244; Fax: 615-259-4576. Email: HowardS@PollockPrinting.com. Web: http://www.vaughanprinting.com. A subsidiary of Pollock Printing. Prints books, catalogs, and magazines. Versa Press, 1465 Spring Bay Road, East Peoria IL 61611-9788; 309-822-8272; 800-447-7829; Fax: 309-822-8141. Email: salessupport@versapress.com. Web: http://www.versapress.com. Vicks Lithograph & Printing, Dwight Vicks III, President, 5166 Commercial Drive, Yorkville NY 13495; 315-736-9344. Email: dwight@vickslitho.com or gnelson@vicks.biz. Web: http://www.vicks.biz. Offset and digital printing of books. Also content management and fulfillment/distribution. Victor Graphics, 1211 Bernard Drive, Baltimore MD 21223; 410-233-8300; Fax: 410-233-8304. Email: pineapple@victorgraphics.com. Web: http://www.victorgraphics.com. Now a division of Bang Printing. Walsworth Publishing, 803 S Missouri Avenue, Marceline MO 64658; 800-369-2646; Fax: 660-376-3940. Email: commercial@walsworth.com. Web: http://www.walsworth.com. Second plant at 1508 Chandler Road, Omaha NE 68147; 402-827-1170; Fax: 402-827-1174. Printer of yearbooks, paperbacks, hardcovers, and more. Webcom, 3480 Pharmacy Avenue, Toronto, Ontario M1W 2S7 Canada; 416-496-1000; 800-665-9322; Fax: 416-496-1537. Email: webcom@webcomlink.com. Web: http://www.webcomlink.com. New York sales office; Susan Ginch: tradepub@webcomlink.com. Prints books, catalogs, directories, and technical documentation. Full service book manufacturer with complete in-house production, long-run web and short-run digital print as well as electronic publishing products. Offers Otabind lay-flat binding, specialty coatings, extensive paper selection (including recycled grades), and 4-color printing. Webcrafters, 2211 Fordem Avenue, Madison WI 53704; 608-244-3561; Fax: 608-244-5120. Email: info@webcrafters-inc.com. Web: http://www.webcrafters-inc.com. Sales offices in Connecticut, Florida, California, New Jersey, Massachusetts, Illinois, and Madison. Second plant at 5487 N Blue Bill Park Drive, Westport WI 53597. Bindings: saddle-stitch, spiral, perfect-binding, and Wire-O. Can also do kitting and special packaging. Whitehall Printing, Sandra Yeyati, Marketing Director, 4244 Corporate Square, Naples FL 34104-4753; 239-643-6464; 800-321-9290; Fax: 239-643-6439. Email: info@whitehallprinting.com. Web: http://www.whitehallprinting.com. Call for their standard pricing sheets. Among the lowest-cost printers in the U.S. since 1959. Worzalla Publishing Company, Mike Tans, Sales and Marketing Manager, 3535 Jefferson Street, PO Box 307, Stevens Point WI 54481; 715-344-9600; 800-442-2463; Fax: 715-344-2578. Email: mtans@worzalla.com. Web: http://www.worzalla.com. This employee-owned printer specializes in short runs of full-color books, especially children’s books (80% of their business). Since 1892. Major clients: Houghton Mifflin, Scholastic, HarperCollins. ZHR Print Packaging and Printing, No. 11 Chuangye Road, Shailongzai, Shuitian County, Shiyan Street, Bao’An District, Guangdong Province, Peoples Republic of China; 86-755-84185978; Fax: 86-755-61641085. Email: support@zrhprint.com. Web: http://www.zrhprint.com. Prints four-color books, children’s books, magazines, catalogs, flyers, posters, calendars, packaging, boxes, and more. I just found an incredible list of real book printers, with my choice of over 200 book printers.